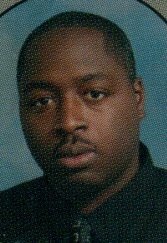 Master Police Officer Jeremiah Montgomery Goodson, Jr.
Master Police Officer Jeremiah Goodson was shot and killed as he and another officer attempted to arrest a man at a local gas station in the 5000 block of Fayetteville Road. Officer Goodson, who was off duty, was at the gas station and recognized the subject as being wanted on outstanding warrants for possession of a firearm by a felon and failure to appear in court. He called the police department and notified other officers of the subject's location. Another officer arrived and the two began to approach the car the subject was sitting in. The man opened fire from inside the vehicle, striking Officer Goodson in the chest. The second officer and other responding units took the man into custody. The 27 year-old ex-convict, who was charged with first degree murder, is being held without bond in the Cumberland County Jail. He was released from prison in 2007 after serving two years and seven months for a felony breaking and entering conviction. Since 2004 he has been convicted of breaking and entering, larceny, receiving stolen property, motor vehicle theft, and possession of a firearm by a felon. The Robeson County District Attorney said he would be seeking the death penalty in this case. The suspects trial began on February 19, 2018. He will not face the death penalty. On March 5, 2018, the suspect was convicted of second degree murder and sentenced to 27 years in prison. Officer Goodson had served with the Lumberton Police Department for six years. He is survived by his expectant wife, son, daughter, parents, and two siblings. On June 26, 2015, a new bridge crossing I-95 at exit 22 in Lumberton was named the "Jeremiah M. Goodson Memorial Bridge" in honer of Officer Goodson. 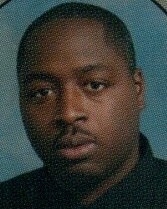 Rest in peace Master Officer Goodson.